To take your courage by the hand and look into the fears hidden under the bed, locked in our bones. To find your strength in being aware of your vulnerability. Pain that makes me angry, anger that hurts. How many dances does it take to let out a scream, to go through “crime and punishment”, to repair broken boundaries, to say a clear NO to whatever is wrong and violent, and to forgive ourselves, and others? To enter the inner chamber of your heart where sadness lives, to sit on its soft couch, to feel the edges of the lake of our tears touch other lakes of tears around us. We open the channels in our body and heart for the sadness to flow and cleansing us of fresh and old disappointments, while we practice the ability to surrender to life. To expand our capacity to tolerate the feeling of simplicity, lightness, beauty, and light in and around ourselves. To celebrate the moments of joy that uplift us, relax us, and open us. To explore our heart and soul as they grow through our generosity. As we go through our emotions with more awareness, we can see how they connect us with others who are also going through them in the same or completely different time, place, way. If our heart wishes to serve other hearts, then it will start from the place that we know so well, from that bridge which has brought us to the other side, the feeling of compassion. Prerequisites: 15 hours of Waves level. 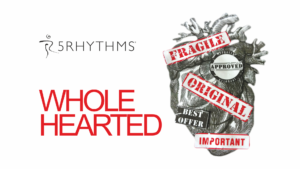 This workshop counts as 2,5 days of Heartbeat level towards the 5Rhythms Teacher Training prerequisites.